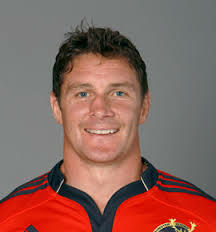 Paul Stephen Wallace (born 30 December 1971) is a retired Irish rugby union tight head Prop who played for Ireland earning 45 caps and the British & Irish Lions 1997 tour. Paul currently works for Sky sports is also a contributor to the Daily mail and Rugby World magazine as well as Today FM’s The Last Word. Wallace was once regarded as the best tight-head prop in the world. Club wise he played for Saracens and Leicester 1996 to 2001 before returning to Leinster.